Copenhagen Lindy Exchange was first held in 2013 and has been held every year since. It started as a medium size lindy event in Copenhagen, but have grown to be the biggest event for Lindy Hop in Denmark. 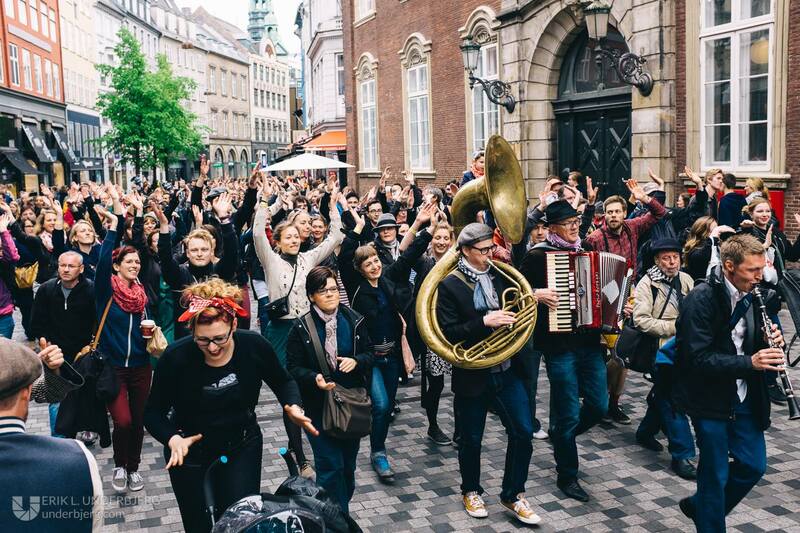 The Danish Lindy Hop organization SwingShoes is the foundation for the Exchange, both financially and most of the volunteers come from SwingShoes. The volunteers behind CPH:LX have changed a lot since the beginning, only a few of the founders are left in the staff behind the event. The new volunteers are very eager to improve the Exchange, but at the same time respect the work of the volunteers who build the Exchange to what it is today. The evening parties are the main focus of the Exchange, we try to get diversity and high quality in bands. We get the DJ’s who inspire us to dance to late in the night because ending the parties late has always been our ambition. Inspirational taster classes start the parties, with some of the best Lindy Hop teachers in Europe. The Daytime activities are also important for CPH:LX. The main activity in the day time is a boat tour in the canals of Copenhagen ending in a dancing street parade all accompanied with live music. Some of the daytime activities change from year to year, but there is always a great selection and something to do every day. Have fun rewatching special moments from previous years.